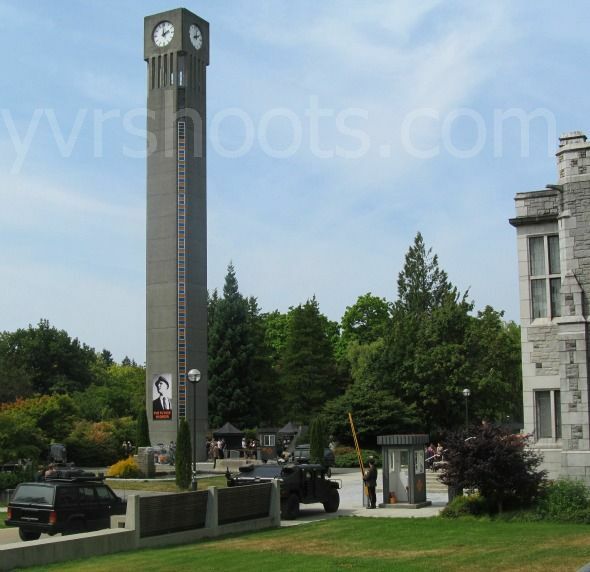 On Monday, Fringe transformed the area around the Clock Tower at the University of British Columbia into a checkpoint in 2036 — a time when Observer overlords rule the world — for the first day of filming of its second episode in season five. 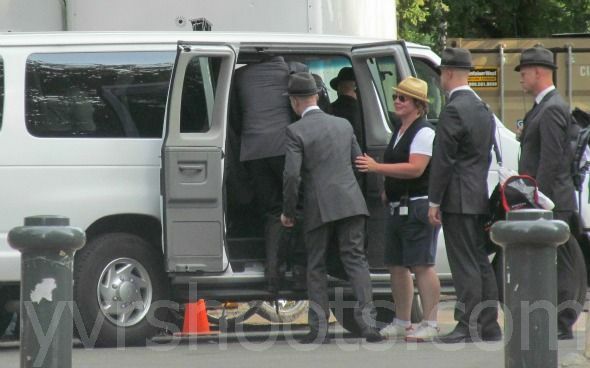 Ahead of the big Clock Tower scene, Anna Torv and Joshua Jackson wrapped a different scene which I’m not uploading photos from and not saying when it takes place. 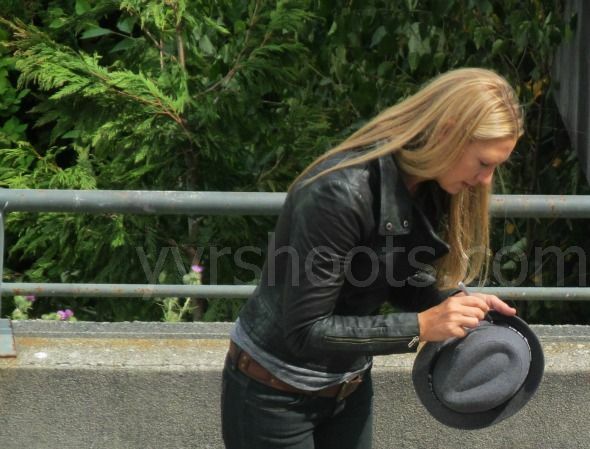 But here’s Torv delighting a Fringe fan (in town for The Fringe Event last weekend) by signing her Fringe fedora from Comic-Con in San Diego. And here’s Jackson making one of his zillion facial expressions. He’s one of the most animated people I’ve ever seen and I’m not alone in saying this. I didn’t notice any cast in the big checkpoint scene near the Clock Tower, only background performers, but that could have changed in the next setup. As the Clock Tower scene wrapped, an Observer photobombed a picture. And as crew cleared away the set, someone herded a group of Observers into a van like kids on a school outing. I will never tire of seeing thirty-odd Observers on set in season five. Fringies from The Fringe Event caught up with some of the cast at the next scene in Hospital Lane by the UBC Hospital. 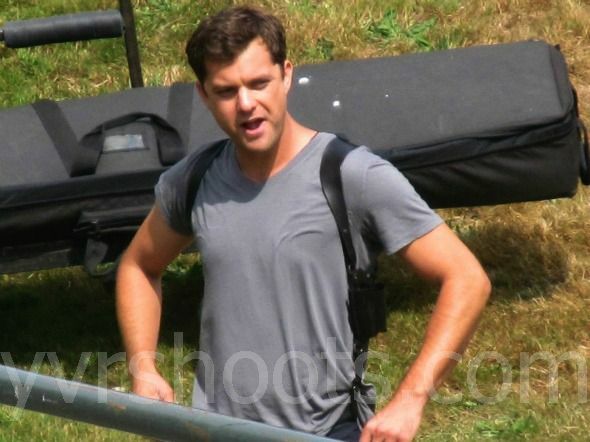 And then later outside the Sauder School of Business, more met Joshua Jackson heading into set. Tas, who’d come all the way from Russia, couldn’t have been more thrilled, telling Jackson how she would miss seeing Seth Gabel in season five (she’s on Team Tyrone). Here’s hoping for a guest performance or two. Fringe season five premiere airs Friday, September 28th, on FOX in the U.S. and City-TV in Canada. You’ll have screen caps & GIFs of actual scene to look at then, but yes I will. Thanks for the photos as always Susan. Why won’t you put up the ones you said you aren’t? If it’s spoiler-related then you could just post a spoiler warning for those who don’t wanna see them! Am not putting up the other photos because this post is meant for all the Fringe fans who’ve told me they don’t want to see spoilers of the final season. And there are a lot. 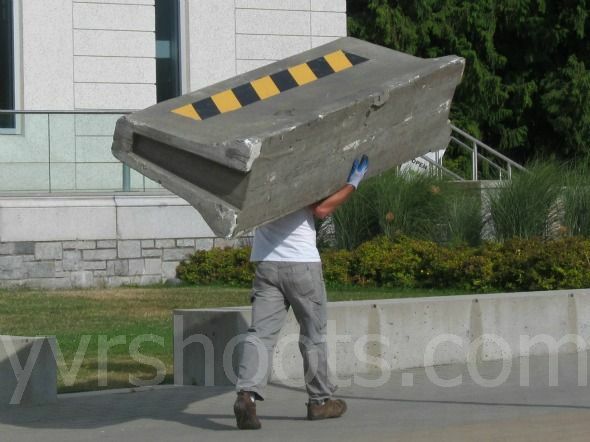 It’s also a tribute to the people at Fringenuity who I met later at the UBC shoot. They organized the Twitter and Get Glue campaigns which helped save the show. The spoilers I didn’t put up are all over the place because lots of people photographed and one even videotaped the scene. Look for them on spoiler sites. And some paps photographed the night shoot. Some Fringe fans are even blocking accounts which tweet spoilers. I just wanted one of my posts not to be part of the ongoing spoiler debate. Thanks so much for posting these! I work at UBC and it’s always so fun to see what people can do with the place. Thanks for all you do, Ms. Gittins! 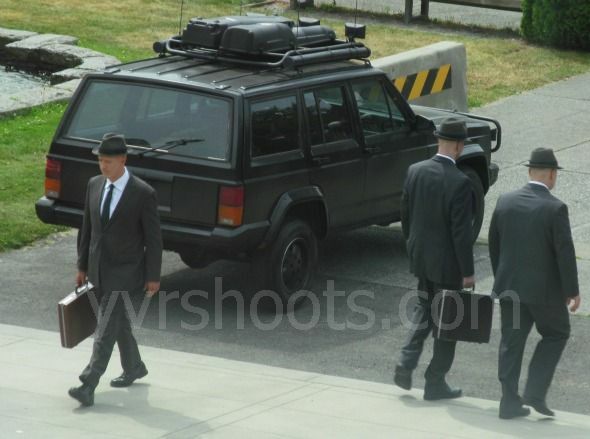 Wonder which Observer called shot gun as I saw one in the passengers seat….LOL!! Hi, Susan! RunPaceyRun introduced us at UBC. It was such a pleasure to meet you. I just wanted to thank you again for all you do for Fringies, and tell you how much we enjoy your photos. It’s so exciting seeing photos of the places I’ve been, especially these, since I was there on THAT day! Thanks again for being the kind, generous, respectful person you are.I hope to see you again on my next trip to beautiful Vancouver! Lynn: Thanks. It was wonderful to meet the other half of Lyn(n) squared. And Tyrone squared. 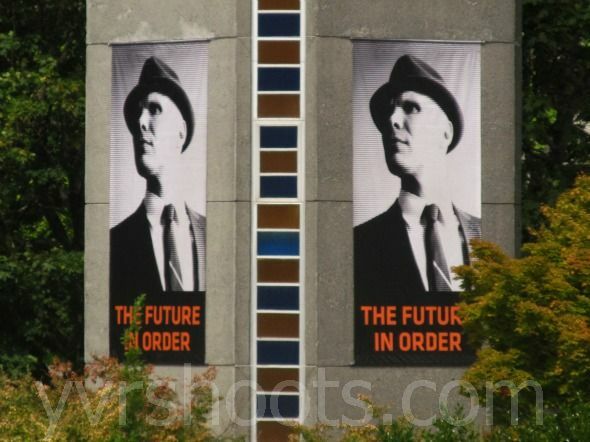 And all the other Fringies at UBC. The Fringe Event seems to have bonded you all for life. Can you post the pics of the Peter and Olivia scene now? I’ve been waiting for months to see them. I still don’t even know what scene they were from. I’m not sure what you mean by a POlivia scene. 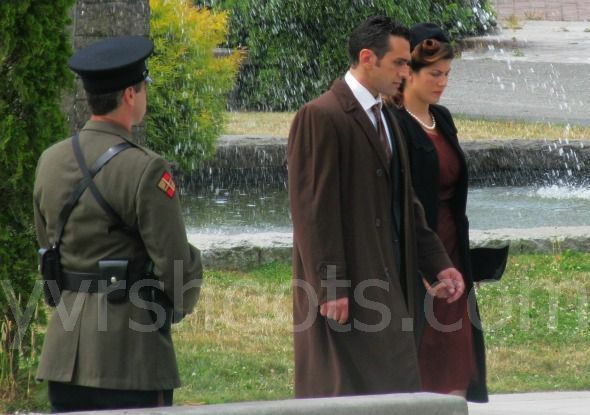 I put up photos of Olivia with Peter, Walter and Etta at UBC in a later post http://yvrshoots.com/2012/10/olivia-the-fringe-resistance-in-2036.html. 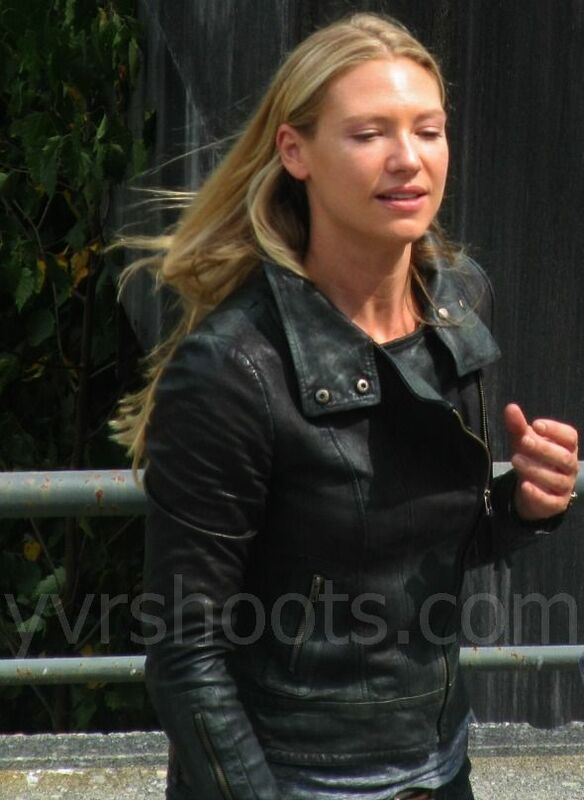 Although Fringe had lots of on-location filming this season the only real POlivia scene I photographed was the one in Stanley Park at the very beginning.